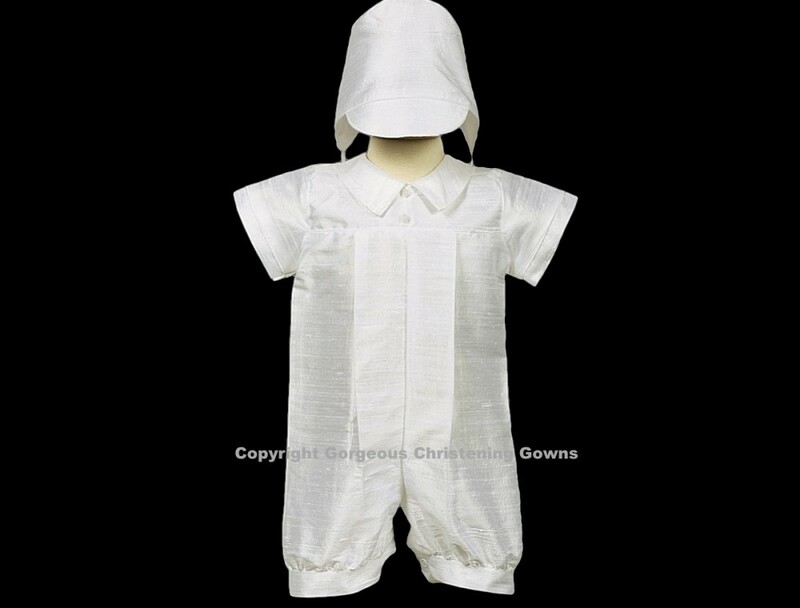 Your little boy will look handsome in this elegant yet simply stylish silk romper. 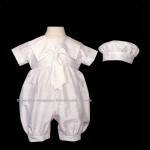 100% Natural Silk romper (slightly Off-White) with peter pan collar and two decorative buttons in front. Pleated front and back add to the fullness of this boy christening outfit. The waist and sleeve cuffs are trimmed in matching piping. 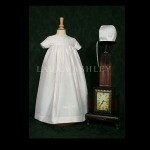 100% hand-made silk and lined inside the collar with a smooth polyester satin.